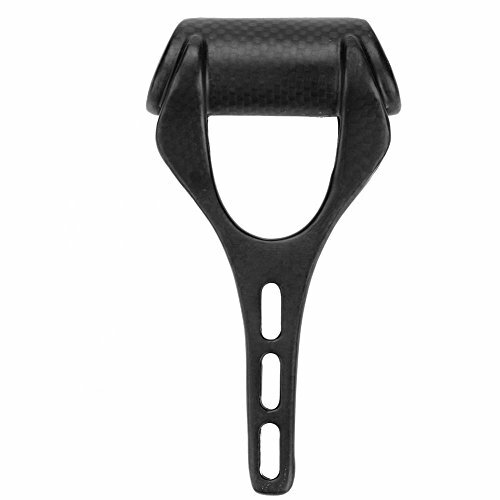 With this durable odometer extender, you can install odemeter in your bicycle's stem firmly. When you cycling, it helps you to read data from your odometer conveniently. Great bike accessory for you. Made of good quality material, anti-rust, sturdy, durable and lightweight. Easy to install and disassemble, can be firmly mounted on the stem of your bike. Offering extra space for mounting bike computer or bike lamp. Suitable for both mountain bikes and road bikes. Universal for various brands of bike computers.